Ваш персональный риелтор предоставит Вам полную консультацию по ценообразованию, продвижению и особенностям продажи Вашего объекта. Мы подготовим анализ стоимости аналогичной недвижимости в Вашем районе, включая недавно проданную, а также находящуюся в данный момент. В целях безопасности мы работаем только на основе договора. Мы незамедлительно приступим к реализации Вашей недвижимости. Покупатель получает объект недвижимости и соответствующие документы, а Вы – зарегистрированный договор купли-продажи и деньги. После завершения сделки Вы становитесь обладателем множества бонусов и выгод. The freshness of the sea water, an access to a private beach or investment attractiveness – what to look first at when choosing a seaside home of your dreams? With nearly a decade’s worth of experience in the Dubai market, we are independent realty specialists with a key focus on freehold property. As a boutique company IMEX Real Estate has acquired a reputation based on its client-centric approach. The relationships we share with our clients are our ultimate priority and we strive to ensure that we can provide them with up-to-date industry knowledge as well as high-quality service. Whether it is leasing, sales or management of a real estate property, we understand the complexities of a market as dynamic as Dubai and assist our clients in making an informed and calculated decision about their investments. It can be tricky to identify the right realty firm to help manage your investments, especially in a country like the UAE. Brokerage firms are everywhere, all claiming to fill the role of buyer, seller or agent. From our experience in the market, what clients are really looking for is a one-stop shop that meets all their requirements. 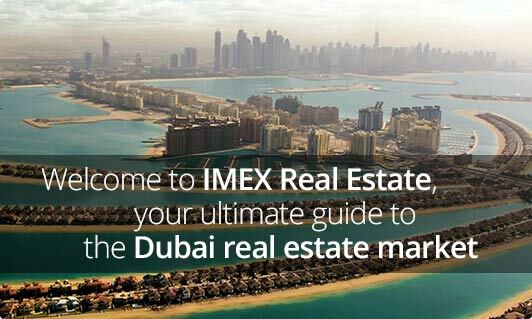 IMEX Real Estate is a full-service brokerage company, representing clients across the globe. We understand that there is a lot that goes into any property transaction, whether it be negotiating the terms of a deal, arranging for money transfers or looking after maintenance issues. Our real estate professionals are backed with years of experience in Dubai and are able to provide all-rounded assistance and are always sure to follow up on our clients' needs. Representing buyers and sellers of property in the Dubai market. Providing an expert overview on area-specific developments to assist buyers with strategic planning. Assisting homeowners with renting out their assets and managing their real estate property. Helping tenants find the right property for them. Keeping global investors up-to-date with market trends. Offering a full-service package of realty assistance with regular follow-up even after a successful transaction.